Transport companies watching with interest as new wear crossing could create a vital corridor from Nissan to Port of Sunderland! Work has moved another important stage near to completion at a new major transport link for the region we operate in. The New Wear Crossing will link Pallion (on the south side of the River Wear) with Wessington Way (A1231) (on the north side) in Sunderland. What's more interesting to transport companies such as LRH is the potential new rapid transport link this will create in the future between the massive Nissan plant to the west and the Port of Sunderland to the east only 5 miles away. 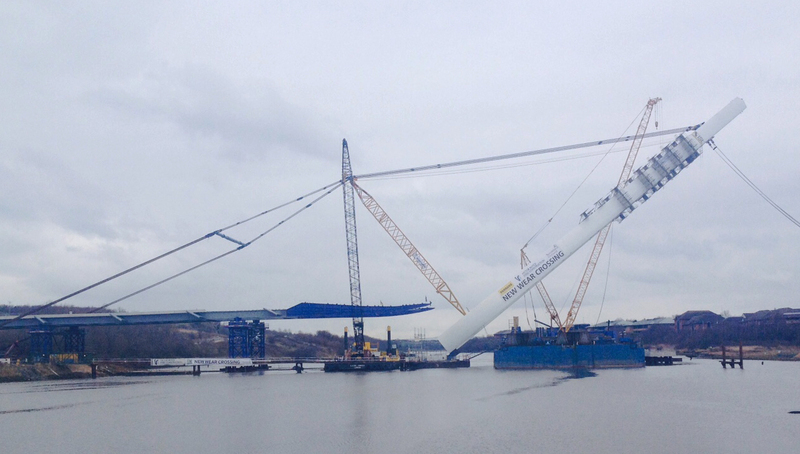 The massive 'A' frame of the bridge standing at 105 metres tall, and twice the height of the Tyne Bridge was raised on Friday 10th February 2017. And speculation has been growing recently that the multi million pound investment in the new bridge coupled with dualing of the major trunk roads in the area could be with a view to the big opportunities for tranporting the many thousands of vehicles that need to be shipped overseas for export. Our warehouse at Birtley is ideally situated for any companies who are looking ahead to any new distribution opportunities the new bridge will bring. Click here for more info. Starting with us way back in February 1996 Neil and Audrey celebrate their 21st work anniversary today! Exciting times coming down the track for Hitachi at Newton Aycliffe! Just before Christmas Hitachi Rail Europe (HRE), a global rail specialist with over 100 years of industry expertise, celebrated the launch of it's first Intercity Express (IEP) train to be built in the UK at its manufacturing facility in Newton Aycliffe, County Durham. Hitachi were joined by the Secretary of State for Transport, Chris Grayling, Minister for Northern Powerhouse, Andrew Percy, and Ambassador of Japan in the UK, Koji Tsuruoka. Hitachi opened the state-of-the-art £82m facility in Newton Aycliffe in September 2015 with ambitions to develop a hub of industry and innovation in the North East. By Spring 2017, Newton Aycliffe will employ approximately 900 people. By 2019, HRE will employ 2,000 people across 14 UK sites, including manufacturing and maintenance facilities. A host of British businesses will continue to supply parts for new trains, supporting thousands of additional jobs countrywide. The site is situated close to where George Stephenson assembled Locomotion No. 1, the first locomotive to carry passengers on a public rail line. In addition to building new fleets, Hitachi will maintain the trains at newly built facilities. By 2020 Hitachi will become one of the largest maintainer of UK trains. In total Hitachi will have 281 trains running on the UK network, carrying millions of passengers along intercity and commuter routes. 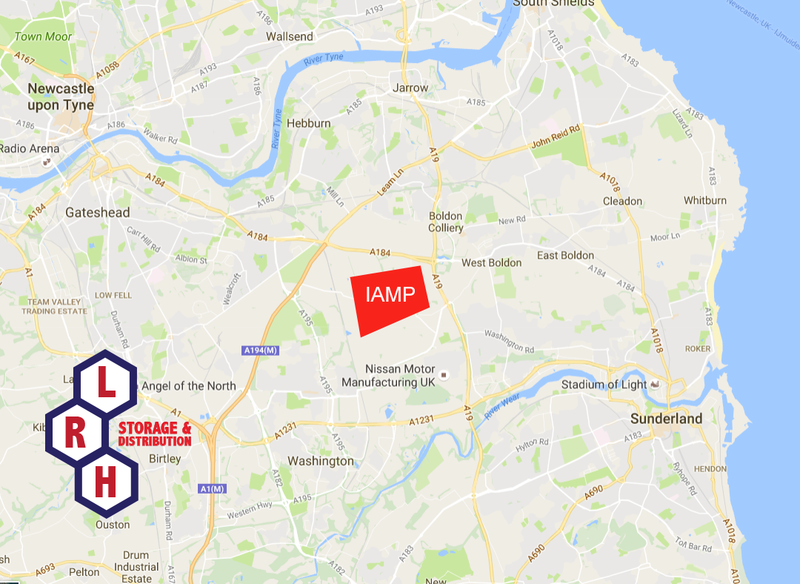 Here at LRH Distribution we are ideally placed to act as a hub to any companies who are considering locating near to this exciting new venture and can facilitate any temporary storage needs you may require. Click here to express any interest you may have and gaining any further information about how we can help you. 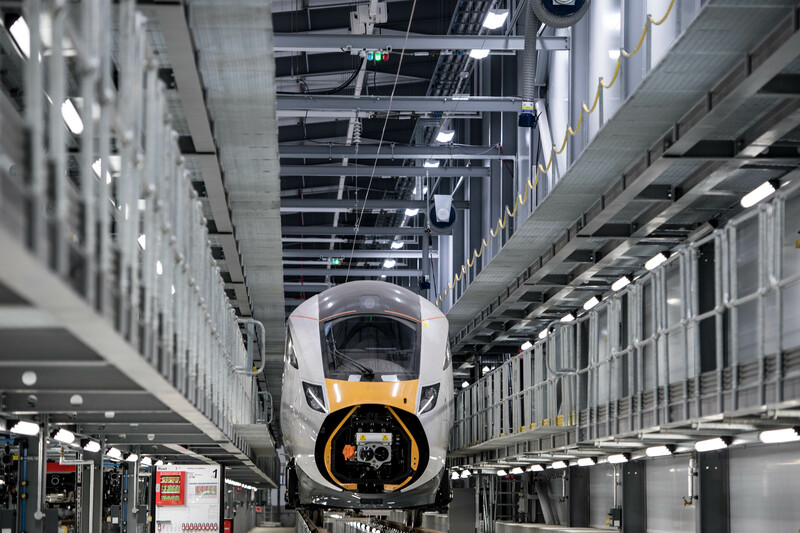 The event on December the 9th at Newton Aycliffe was an opportunity to view and board the first of the British-built new IEP trains and see trains being built at the facility. “We are determined to take the big decisions for Britain and are investing record amounts to modernise the rail network, deliver better journeys for passengers and drive economic growth. “This first train to roll out of Hitachi’s new factory in Newton Aycliffe shows we are open for business and will provide a real economic boost to the North East, not only by providing jobs but also by investing in the skills needed to provide the transport network our country needs for the future. LRH are well able to assist any companies looking to locate to the North East and join the Hitachi supply chain with any temporary or long term warehousing or storage needs. click here for more details. Plans have moved up a gear to create a major new industrial park hear in the North East. The Sunderland City Deal focuses on maximising the opportunities of the growing demand in the advanced manufacturing sector by supporting the development of an International Advanced Manufacturing Park (IAMP). Hot on the heels of the recent announcement that not only will Nissan will produce the next generation Qashqai, but also its X-Trail SUV model at its Sunderland plant. Now another step forward is about to be taken with the start of the consultation for the IAMP, a site that could create more than 5,200 advanced manufacturing jobs. According to a Sunderland City Council report* by 2027 Sunderland City Council and South Tyneside Councils predict the City Deal will deliver over 260,000m2 of developable floorspace over a 100 hectare advanced manufacturing park plus 5,200 new jobs with the vast majority within the manufacturing sector and an estimated £295m private sector investment in advanced manufacturing in the North East. 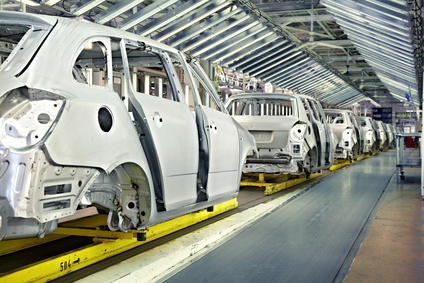 Set in a prime location in the heart of the North East of England, the IAMP is planned for land just to the north of Nissan , the country’s largest car manufacturing plant. The site is to the west of the A19 trunkroad and to the south of the A184 road (just down from Testos roundabout) , with excellent access to the A1(M) and main road network. The IAMP development will make also use of the opportunities created by planned Department for Transport investments in key regional transport links such as, the improvements to the A19 / A184 Testos Junction, scheduled for delivery before 2020/21 and pinch point funding to improve junctions of the A19 at the A1231 and A183. The proposed International Advanced Manufacturing Park development crosses the border between Sunderland City Council and South Tyneside local authorities. Due to the proximity to key transport links it is expected however that the enterprise and employment opportunities created will have an impact across the North East region. 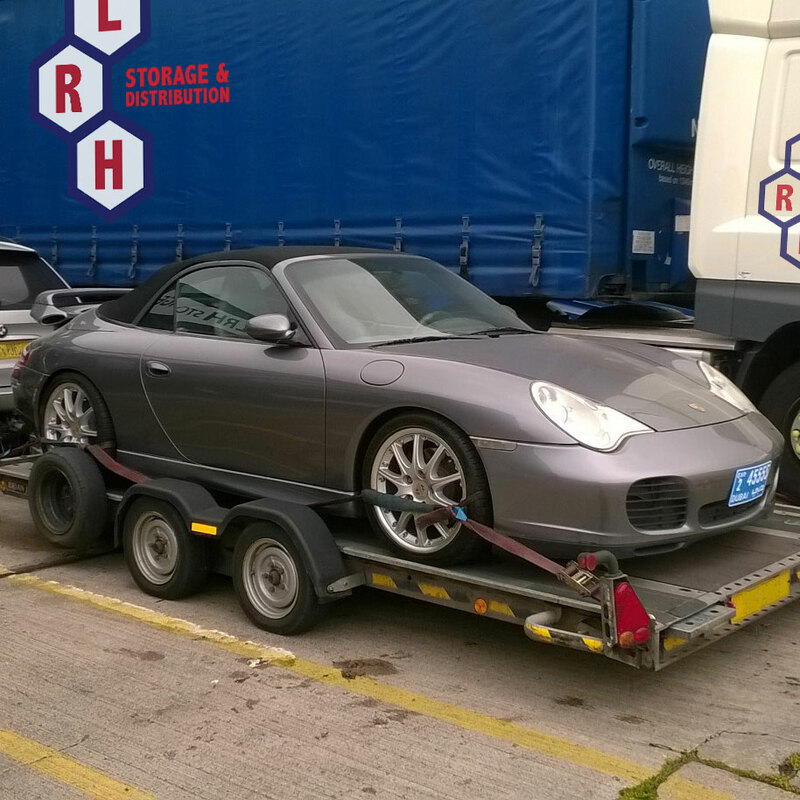 Here at LRH Distribution we are ideally placed to act as a hub to any companies who are considering locating to this exciting new venture and can facilitate any temporary storage needs you may require. Click here to express any interest you may have and gaining any further information about how we can help you. We are pleased to mark the work anniversary of Tony Franciosy who has been with us 4 years today! We are pleased to mark the work anniversary of Tracy Wild who has been with us 4 years today! Announced in the budget this year by George Osborne driverless lorries are to be trialed in the UK. Daimler have already trialed their trucks on the German autobahn. The driverless lorry's are to be trailed in the UK later this year in 2016. The Department for transport hoped that the UK would "lead the way" in testing driverless HGV 'platoons'. The new technology works by having up to 10 vehicles computer controlled in what is called a platoon with one vehicle at the head of the group containing the driver. The other vehicles behind him mimic his actions in breaking and maneuvering whilst only a few metres apart. One of the advantages in this technology is that it enables vehicles moving in a group to use less fuel. It is reported that trials will take place north of Preston on the M6 in Cumbria in late 2016. However many have raised concerns as to whether the vehicles will work in the UK. Edmund King, who is the president of the Automobile Association, said although he hoped such a scheme might work he was doubtful that it would work as well in the UK as it works in other countries. "The problem with the UK motorway network is that we have more entrances and exits of our motorways than any other motorways in Europe or indeed the world, and therefore it's very difficult to have a 44 tonne 10-lorry platoon, because other vehicles need to get past the platoon to enter or exit the road." Many people around the world will be watching the trials with interest, in the United States for instance there are 3.5 million professional truck drivers. Here in the UK haulage companies will be watching developments closely. In Europe in April of this year a convoy of driverless trucks drove across the continent to the port of Rotterdam. We hope to report later in the year as to how well the trials of gone, but in the meantime we have now plans for driverless trucks at LRH! Report on One Show to go in here shortly. Report on BREXIT and haulage industry knock on effect with Europe to go in here.